Have you ever found it hard to know how to help someone when they are going through a change or challenge? You weren’t too sure what to say? On Saturday September 15th we held a B.OK Buddy Breakfast (BBB) in Melbourne to raise awareness around how to support those you care about, whilst raising money for mental health. A morning to be inspired by a positivity corner, uplifting temporary tattoos, origami creation, healthy food station and more. With the goal to support and educate the people of Melbourne on how they can help themselves and those around them during key moments in life. 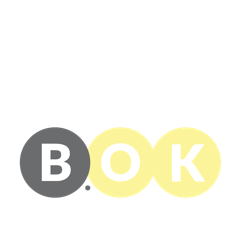 The BBB Events were started from the B.OK Buddy Community an online platform based on support for the people by the people. A community which grew from the pure need and want that people have to support others and help. We have created a space where people can reach out during life changes and challenges or find out more information on methods to support others and connect. In the video above, you will hear from some of the buddies who were at the Melbourne BBB and how they witnessed first hand the power of the B.OKideas movement. We had the chance to speak with each attendee at the breakfast and heard the stories behind what makes them who they are today. It was so warming to see such amazing group of people come together for 1 morning and feel the energy of people who really want to learn more about themselves and helping others. We would love to hear from you – share your story with us and feel the power of #thesupporttrend!